Well, here's what happened. A bunch of cool people were teaching POCUS at a sweet conference (Dublin VTE). 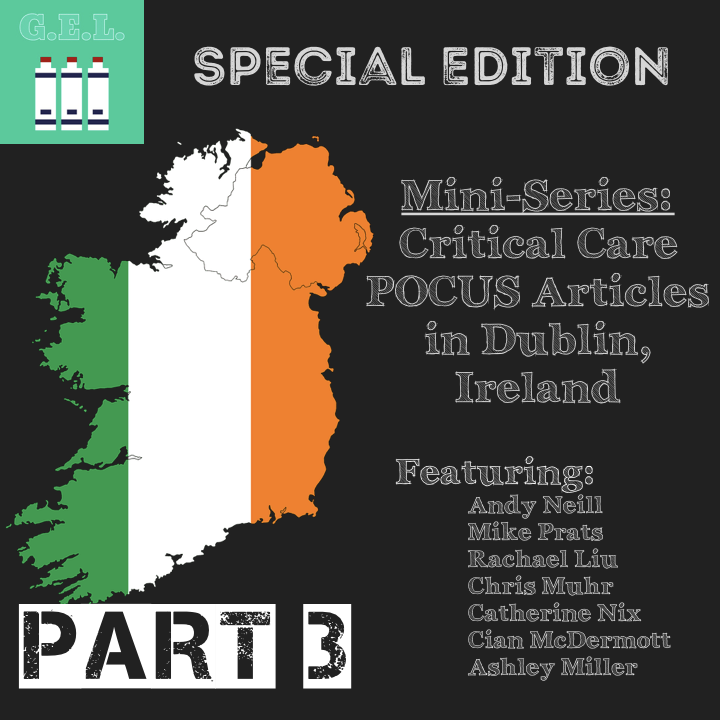 Then we decided to record a podcast on some hand-picked articles relating to critical care. The conversation turned out to be kind of long so it is broken down into several more-digestible parts. This is part 3 of 3. Thanks to Andy Neill for editing the audio. You can find the audio from this podcast and way more at RCEM Learning Podcast.